The Southwest Kidney Institute (SKI) team includes nephrologists with special training in managing complications associated with dialysis vascular access. 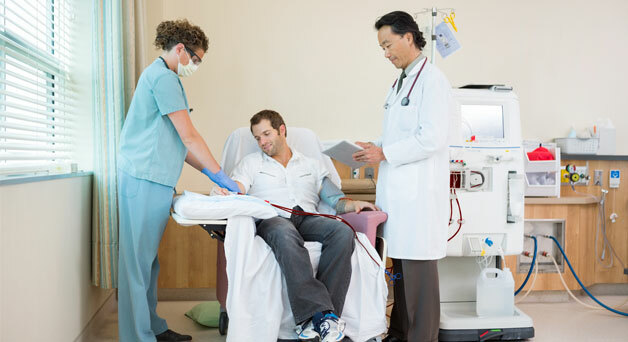 The SKI Vascular Center includes highly trained professionals offering an array of the most technologically advanced procedures for the prevention and treatment of dialysis access-related complications and various vascular diseases. These SKI physicians are Board Certified interventionalists and possess extensive experience in treating dialysis access and a broad spectrum of vascular disorders, including varicose veins and Peripheral Arterial Disease (PAD). Diagnostic ultrasounds are performed on-site at SKI Vascular Centers to offer accuracy and convenience to our patients. Our interventionalists enjoy a much higher technical success rate greatly exceeding national benchmarks. We are dedicated to helping improve the quality of life for our patients through limb salvage, avoiding unnecessary amputations and reducing rates of access failure. Please visit the SKI Vascular Center website to learn more about our services and providers and to find a location near you.